The large Moir family includes some of my wife's ancestors. I have just come across an old book on the Moir family that has been made available online. Following page 168 are a number of photos which apparently include some of my wife's ancestors. However some of the identifications appear to be in error. 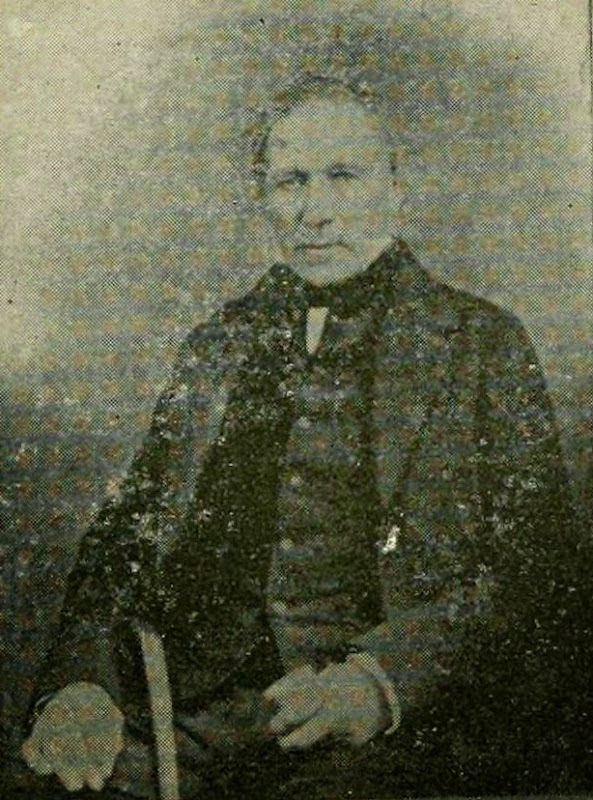 For example, photo #3 is titled as "James Moir, Blacksmith, Annat", and the only person meeting that description (that I can find) was born in 1793. 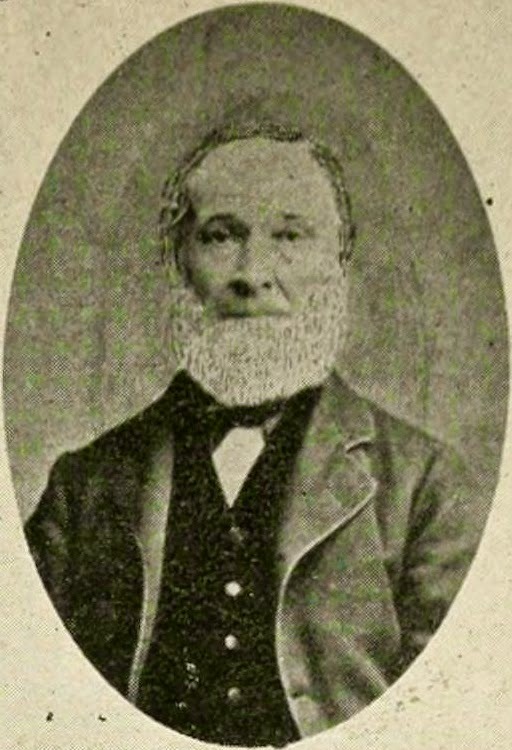 Now according to Wikipedia, the first photograph taken in Scotland was in 1842, so even if the photo was taken then, James would have been 49, and the photo shows a man surely younger than that. As an aid to trying to check the identifications, I was wondering if anyone here was sufficiently familiar with clothing of generally poor small farmers and blacksmiths in the period 1840-1900, and was thus able to make a guess as to the rough date of some the photographs, please? Or would it not have changed much over this period? This is the photo I referred to. He looks to me to be about 30, and I'm not sure I think he looks like a blacksmith. This couple is said to be George Moir (1790-1871), blacksmith at Little Ardo in Methlick, and his wife Margaret Calder (1792-1866). They look to me to be about 50-55, and she had had about 13 children by then. Does anyone have any thoughts please? I would reckon the man in the first photo was probably early thirties and dressed in his own clothes. They fit too neatly to be borrowed as props. He also is sporting a very fashionable beard with no moustache. He looks a bit of a dandy and my memories of blacksmiths are all with face and hands darkened by the forge and metal sparks. He is too clean for that role. Datewise I thought late 1860's -1870's. The couple look a lot older to our modern eyes but even into the 1940's grandparents looked, and dressed in older fashions than nowadays. 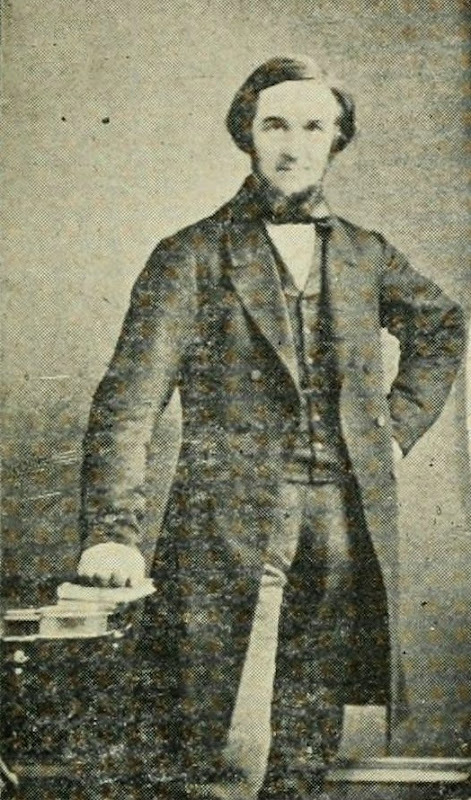 The double breasted waistcoat and cravat style necktie are slightly earlier date and their rigid pose (and sour faces ) might indicate an earlier date for the photograph too. Difficult to pick out other style examples when the feet are shaded out and there is no background either. According to somebody at Ancestry here is the James in photo number 3 whose parents were James Moir, Blacksmith and Ann Black. Last edited by nelmit on Wed Nov 26, 2014 1:12 am, edited 1 time in total. Wish I had never started on this....................my head is bursting!! The title of photo 7 doesn't make sense. As far as I can gather - James Moir, 1816 - 1890, Blacksmith at Fedderate, New Deer was married to Agnes Duncan. Ann Black was married to James Moir, 1791 - 1875, Blacksmith at An(n)det, Methlick. Both have wills at SP if you have spare credits. Thank you everyone for comments. Trish - I thought the people were a little older than I wrote here, but my wife thought (like Russell) that they would have looked older to us than they really were. It's hard to tell. It is good to confirm that some (many?) photos used clothed supplied by the photographer. Russell - I agree with you that the younger man doesn't look like a blacksmith (or at least my image of a blacksmith). There are a bookseller, a school teacher and an iron merchant in the family around that time, and I think that's more what he looks like. If your guesses about dates are correct, it would mean the younger man was born about 1835-1842. I'll see who in the family fits that. 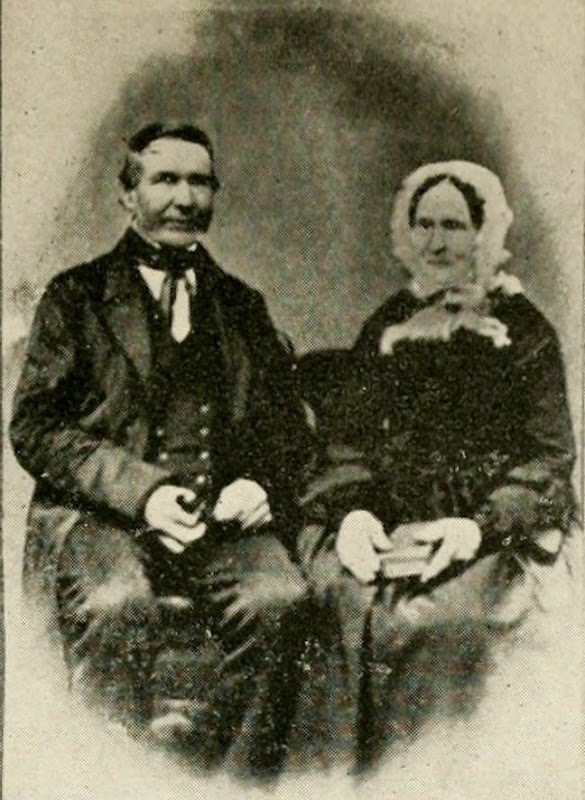 The older couple (if they are who they are labelled) were George Moir (1790-1871) & Margaret Calder (1792-1866). 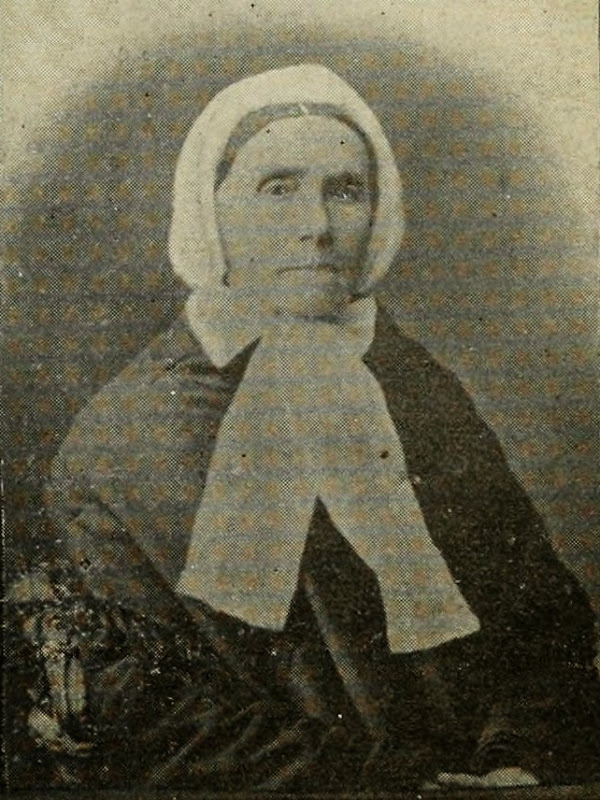 Since the first photo in Scotland was 1842, this photo must have been taken between 1842 and 1866, when their ages were about 52-76 and 50-74 respectively. Your guess as to date is about 1850-1860, when their ages were about 60-70. That seems to fit OK.
Nelmit - yes there are confusions in the whole page of photos (p 168 in the source Nelmit linked to for anyone else interested), that is why I started with just two photos. One possibility is that the captions for the Annet blacksmith and the Fedderate blacksmith have been swapped. But as discussed with Russell, #3 doesn't look like a blacksmith, and if Russell is right about the date, he wasn't either of those men. The other tricky thing which can certainly do your head in is that a lot of the names are repeated in each arm of the family in each generation. For example, James Moir of Annat who married Ann Black had a son James who married Ann Knox, and a daughter Ann who married James Thom. So there are 3 James & Ann couples just there! I would now like to post 3 more photos from that page and see if people can offer any advice on those dates and ages please. As a new member whose Christian name is Moir I came upon this thread and thought I would point out (although you may already know) that in the Aberdeen area, Moir can be spelled More. I have a willim Moir , son of George Moir master tailor, William born 06.08.1858 at the village of Melhlick, he is my great grandfather. Died 31.03.1929.I have photos of the clothiers and tailored , the gravestone etc.